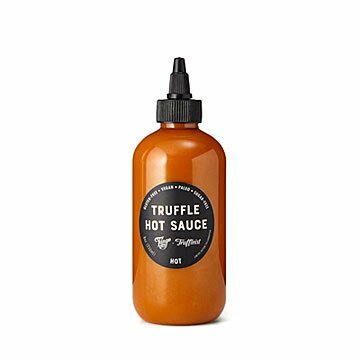 Spicy chilies + decadent truffles = a condiment that can't be beat. In the condiment hierarchy, hot sauce is king. Every variety gets a crown, but this truffle-y number's is juuuust a little bigger than the others. Why? It's extra decadent. Imagine the heat you expect from great chilies combined with the bold, earthy flavor of a truffle and you'll pick up what we're putting down. Then imagine it drizzled atop avocado toast, or as a dip for fresh, crispy fries, and we bet you'll start drooling, stat. (Thank maker Jimmy Kunz for the experience.) Handmade in New York.